Just like any other person reacts when they get financial freedom, Singaporeans also react to a sudden outburst after having a financial independence. You will find that when one is under the care of the parent, the parent is the one who makes the financial decision. In Singapore, when a child is done with their education, land a good job they are now allowed to move out of their parents comfort zone and have a life of independence. Some take their time to finish education, land a good job and then get married so as to move out. Coming out of a place where all decisions were made for you to a level where it is you to make the decision can be quite a challenge. This means you have to balance everything from monthly expenses and other vital things in your life. 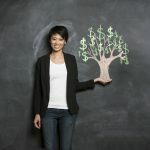 Here are ways to help you make better financial decisions without being tricked by your youthful nature. Singapore is one of the expensive places to live in the world meaning you have to make wise decisions when using your money and leave a portion for saving. Without making firm decisions, you can find yourself using every coin on monthly expenses and you are left penniless. Look at these simple ways you can save money without too much struggle. Have your bank automate your savings where they will be deducted automatically from your account after receiving the paycheck to a different account. Avoid saving your credit card information online. When you fill your card on your favorite shopping sites you can easily be tempted to impulse buy tampering with your plans for the month. Take advantage of warehouse sales opportunities when they come up. Many Singaporeans opt for this option when they want to buy a product because most of the brands are clearing their stocks thus they sell products at throwaway prices. This way you don’t have to use so much money for a product that you really need. There are many investment opportunities in Singapore that you can consider to put your money on. Before you decide on what you want to invest on, consider the amount of money you have and if it is enough for the investment. Look for the best investment that will work best for you based on the finances you have and your investment goals. Consider investing in markets like Singapore foreign stock which comes in hand by exposing one in other investment opportunities. CPF is also another way Singaporeans have found as a risk-free way of investing and get 6% returns from the savings. There are many ways you can invest in Singapore if you are wondering on where to start. You can choose between real estate investment trusts, exchange-traded funds, Singapore savings bonds and many more. This way you will be able to grow your money through offer returns on your money after the agreed duration. After retirement, you will be able to live off your funds instead of looking for other means to get money. After investing, your money will increase over the long term and within a short duration, you will be able to achieve your financial goals. There are things that are essential in life that we can barely do without them and this means before planning on doing anything else with our finances they should be placed at the top of our list. This means your list should be ranked in order of importance. Ask yourself simple questions like before buying the new clothes that I saw have I cleared my mortgage payment? Which one requires to be settled first? Off course the mortgage, where will you hang your new clothes in case your house is taken? You can consider the need to save university fees for your children for the coming years. Tertiary education in Singapore is very high and varies with time, according to NUS the tuition fee per annum can go up to $9350 for every academic year adding to $37400 for a course that takes four years. This means the cost will change over the coming years what if you start planning early for the future. This will also save your finances in the later years when you don’t have too much energy to work. Avoid being hasty when making big financial decisions. Making hasty decisions when it comes to finances can land you into big problems. Before this major step ensure you are deciding using your head and not the heart because the heart will mislead you. Before you decide on that big financial decision ask yourself if it is being influenced emotionally or it is a do or die decision you have to make. Speedy decisions are not necessarily bad ones but they will still have a significant downside on your finances. People always tend to regret afterward even if the outcome of their hasty decision was good. This is because one feels rushed by the too much information they have to consider before taking the step. If you take long enough before making a decision the mind feels at ease knowing that you are doing the right thing. Learn how to deal with pressure even if someone tries to force you into something and take enough time to avoid regrets. Adapt making financial decisions in your life a habit just like the way people adapt taking a few glasses of water on a daily basis although this habit may take some few months to adapt. 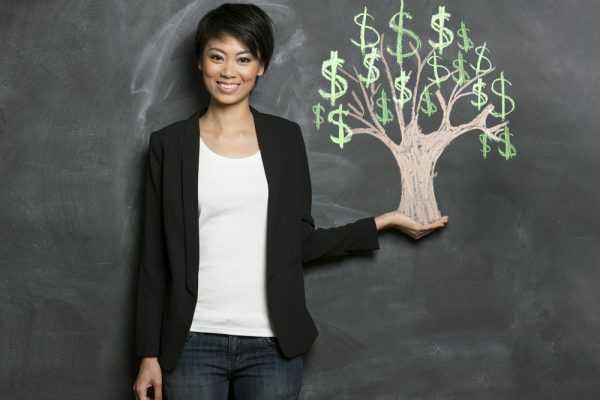 Learning how to make the best financial habit will not fall and things like budgeting for the family takes years to perfect and you need to keep on going without looking back. There are many ways to invest in Singapore and you are even shown how to do it, the table by the fifth person clearly shows you how to start investing at an early age of 19 years. Also, consider living in cheaper housing units that will save your money for the future and according to Singapore’s MRT maps you can get Resale HBDS and also Condos which are much cheaper. Look for articles and infographics that have information that can help you work magic in making financial decisions.